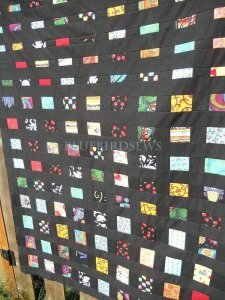 "First off lots of scraps get used up in this quilt and the more prints the better. Scrappy tends to look good all mashed together. Secondly cutting and piecing take hours to complete. 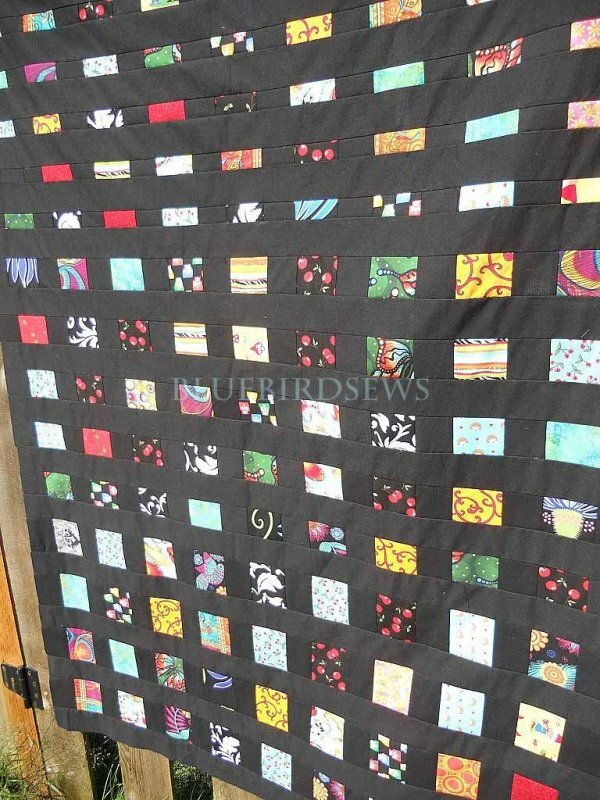 Once I had my fabric picked out it was just a few naps times later that it was all sewn together -- because this entire quilt is chain pieced together! And it also happens that you can use so many color combinations. 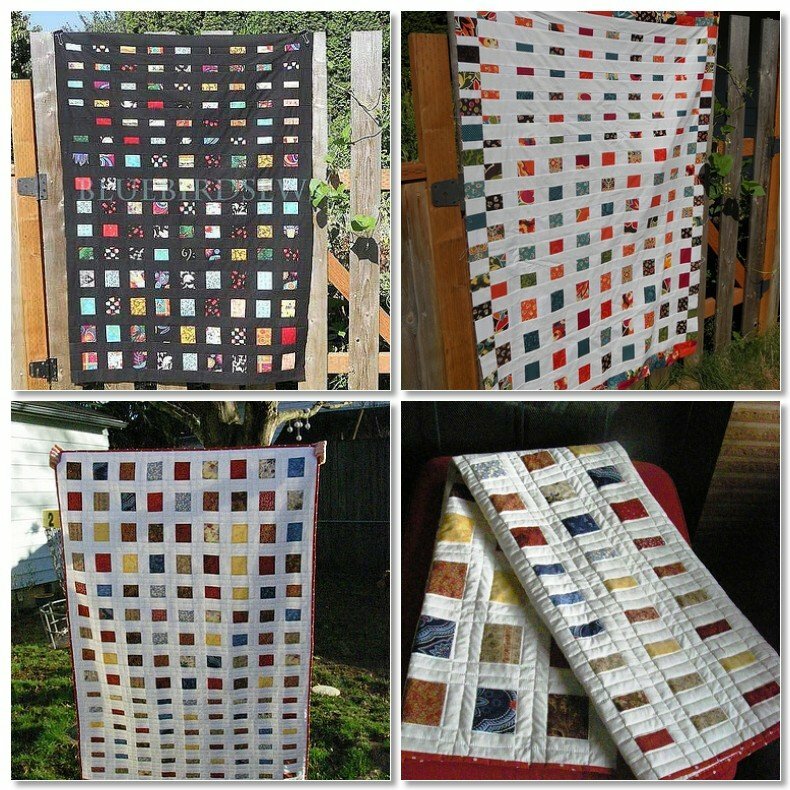 Set the squares is white, black or any other color...I bet it looks great set in grey with red and aqua...or rainbow colors.....or all solids....or, or, or! 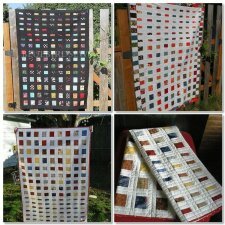 So many options....I almost made one with red pieces and black sashing."